Recently Newry Times caught up with Gáelen Magill. 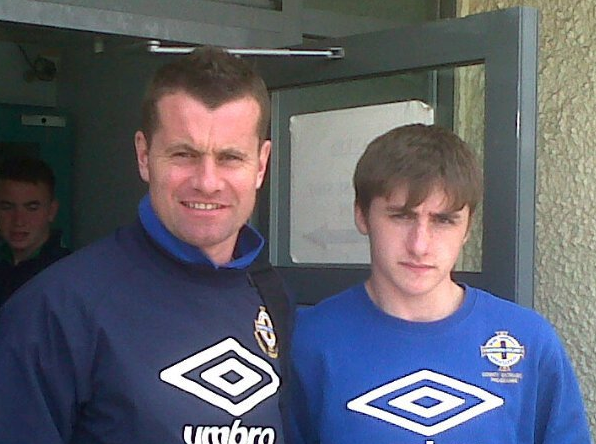 Gáelen is a regular for Newry u16s and also makes frequent appearances with the u18 team. Magill was signed to Newry by James Feehan, the Newry u16s manager and Academy Coach, after a spell with Glenavon FC and is now one of the upcoming talents the Newry City Academy has to offer. Name: Gáelen Magill. Age: 16. Position: Striker. Previous clubs: Glenavon FC & Bessbrook. Greatest achievement so far in your career? Scoring against Rangers FC in Glasgow as well as playing and scoring the first goal scored by Bessbrook in an international tournament in Holland. Best player you have played against? Josh Doherty. Best ground you have played in? Solitude. Do you support any English clubs? Arsenal. What club would you like to play for in the future? Newry City in the Irish Premier league. What is one thing that you enjoy while playing football? Being a striker, it has to be fun from scoring goals. What inspires you to play football? My Great Grandfather played for Man City and Aberdeen and I aspire to be as good as him. Who has been the biggest influence in your career so far? Would have to say my dad. What brought you to play for Newry? The great coaches Newry have such as John Feehan, Colly Cowan and James Feehan. Who is the biggest joker in the team? I would have to say Aaron Duke. Who is the best trainer at the club? Myself, I try to give 100% in training! 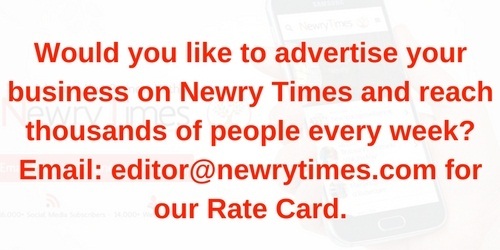 And finally…What’s your favourite thing about playing for Newry? The great coaching staff and facilities provide us with all we need to reach the best of our ability. The rest is up to us.